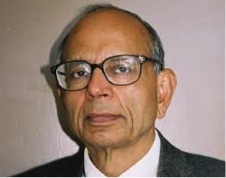 Dr. P. Kumar Mehta, Professor Emeritus, University of California, Berkeley, has been an inspiration to a whole generation of Indian activists, since 1965 when he started the Front for Rapid Economic Advancement (FREA). In 1968, Dr. Mehta with others started Indians for Collective Action (lCA), with chapters nationwide, serving development projects in India. Dr. Mehta developed techniques of energy saving and waste material utilization in the manufacture of cement. For this work he received many patents and awards, including the Wason Medal of Research in 1988. In 1993, Dr. Mehta was honored with the Chancellor’s citation for his work as Director of Education Abroad Program at U.C. Berkeley. In 1996, Prof. Mehta started the Himalaya Foundation, dedicated to sustainable development in India. On his retirement from U C Berkeley in 1993, after 30 years of teaching and research in concrete technology, he was awarded the Berkeley Citation – the highest campus honor for contributions to his field and to the University. In 2006, he received a Lifetime Achievement Award from the Coal Combustion Products Partnership in recognition of his outstanding research for decades on the use of fly ash in structural concrete. He was also elected an Honorary Member of the American Concrete Institute. He is a member of the ACI Board Advisory Committee on Sustainable Development.